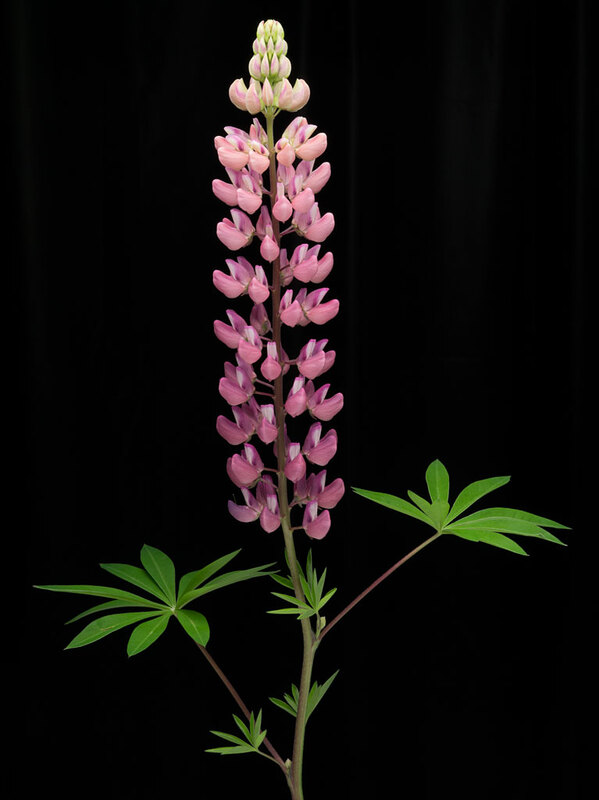 Lupine, Lupinus, is a symbol of summer in Maine. The common blue variety can be seen along the roadsides throughout the state. 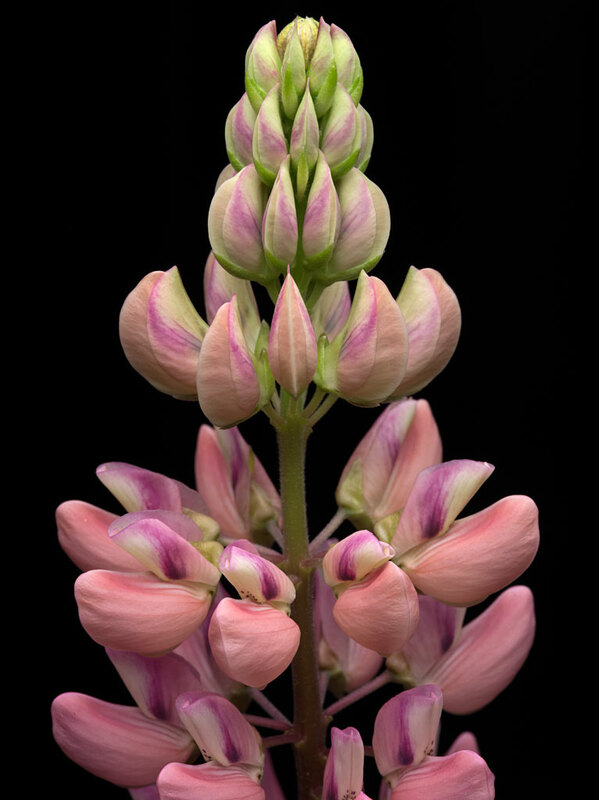 It is an elegant plant—the tip extends upwards as the blossoms unfurl. The flowering head takes a wonderful color gradient as the blossoms darken with time. Click on the images for a larger view.